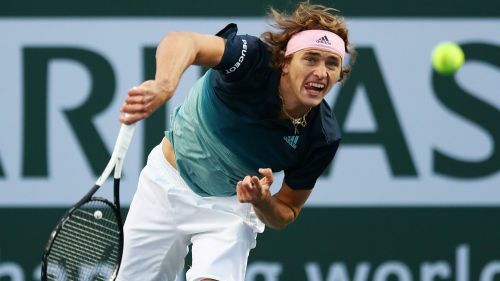 Alexander Zverev crashed out of the Indian Wells Masters with an emphatic third-round defeat to fellow German Jan-Lennard Struff on Monday. The world number three missed out on a first title of the season when he was beaten by Nick Kyrgios in the Mexican Open final on March 3 and he will not be adding to his list of honours at Indian Wells. Zverev was soundly beaten 6-3 6-1 by his compatriot, who had lost their previous four ATP Tour meetings. Struff won 89 per cent of points on his first serve and saved all four break points he faced against his Davis Cup team-mate, who was unable to hold on four occasions. Zverev lost his temper as he returned poorly in only a third defeat of the season, having also been beaten by Milos Raonic in the fourth round of the Australian Open. The 55-ranked Struff will face Raonic in the fourth round of the prestigious tournament in California.